Small, but not too small. 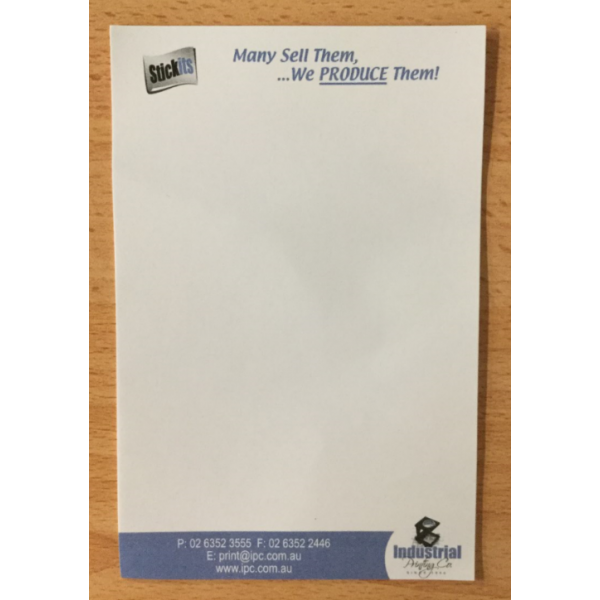 This 50 mm x 75 mm sticky note pad is advantageously compact to allow for sufficient print space and multiple uses-perfect for jotting down phone numbers, computer passwords, website addresses, or simple notes. It becomes your perfect keepsake reminder. Hand out these sticky notepads at trade expos, conferences, recruiting events, or at sales meetings. They make great products to be used at the office or home because of their simple practicality. They will stay on the desks of prospective customers, serving as excellent aids to build your business and get your company name out there. 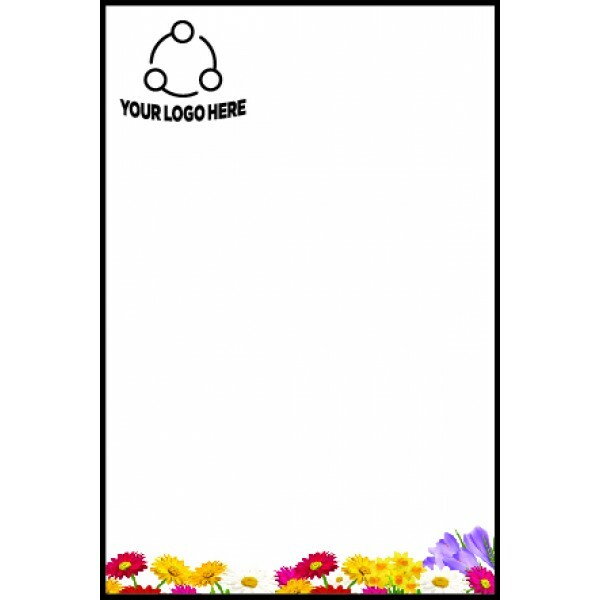 The sticky note pad contains 40 sheets of white paper with each individual page adorned with your choice of branding, such as your company logo, name, and/or website address. Thats 40 company advertisements on one pad-talk about Return on Investment. To make a maximum visual impact, the products clean-white paper can be customized with any full-color image or wording We do, however, recommend that the imprint area be no larger than 50% of the page size so that there is maximum writing space for the end-user. These useful sticky note pads contain a backing paper as the last page and an adhesive strip that can be positioned on any one side of the sticky note pad. The price includes the cost of the full-colour print image or wording, but does not include GST. Printing is done in Australia and product(s) can only be delivered to customers within Australia. Full colour printing is applied on each individual page. Please see our full range of custom printed sticky note sets for other sizes.